SeaWorld usually opens at 9:00 a.m. and closes at 6:00 p.m.; however, during the peak summer days the park may be open until 10:00 p.m. Remember when planning your trip, always check the park’s website or mobile app for the current hours and wait times. SeaWorld was one of the first theme parks I visited as a child, so it will always have a special place in my heart. It was one of the few parks families could budget modestly for and have a great time. The SeaWorld franchise started in 1964 in San Diego, California. It was founded by George Millay, Milt Shedd, Ken Norris and David DeMott. 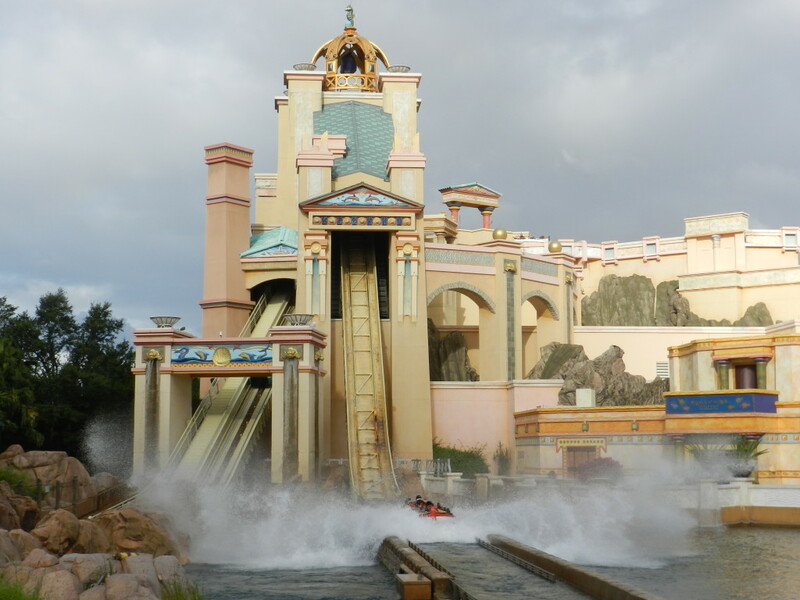 The franchise was originally planned as an underwater restaurant, but eventually blossomed into an aquatic amusement park. In 1968 SeaWorld became a publicly traded company, which allowed for expansion into the Ohio and central Florida areas. In 1973 SeaWorld Orlando was established. SeaWorld Orlando is located at 7007 Sea World Dr, Orlando, FL 32821. Right in heart of the Orlando tourist scene. 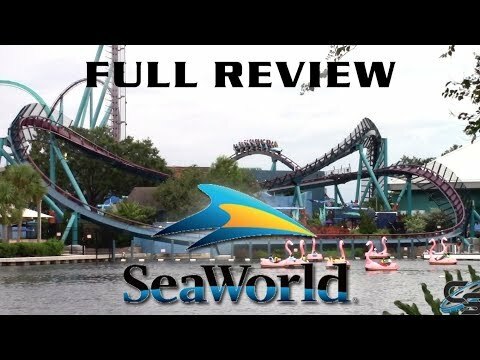 What are some facts about SeaWorld Orlando? SeaWorld in Abu Dhabi is planned for opening in 2022 on Yas Island. The TurtleTrek’s movie is actually two films running simultaneously. One is for the left eye, the other for the right. The staff provides close to 400,000 pounds of Romaine lettuce to some of their marine wildlife. SeaWorld is still trying to recovery after the documentary, Blackfish, which talked about the orca program. There as an unaffiliated park in Australia called Sea World (two words instead of one). Mako is the tallest, fastest and longest roller coaster in Orlando. *All SeaWorld ticket, dining, tour, and merchandise pricing subject to change. Save up to $37 on SeaWorld Orlando Resort Tickets! All you can eat and drink at SeaWorld. You will be able to touch a small shark and learn fact from fiction about the diversity of sharks. An interactive 60-minute program all about walrus, seals and beluga whales. A 45-minute walking tour about what it takes to care for penguins. A 60-minute tour where you find out what it takes to care sea lions. A 60-minute tour where you will have the chance to interact with Atlantic bottlenose dolphins. A 75-minute tour on how rescued manatees and sea turtles are cared for. The Private VIP Tour provides your group with its own SeaWorld tour guide for up to 7 hours. It includes insider tips from an expert guide, front-of-line access and reserved seating to rides and shows. Expedition SeaWorld®: A Guided Tour Starting at $79.00 for adults. 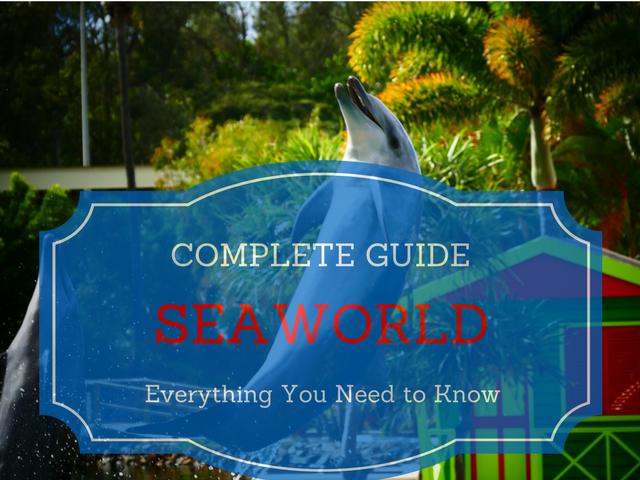 A 6-hour expert guide through SeaWorld. You will also enjoy reserved seats at three of the most popular shows, front-of-the-line access before and after your guided tour, All-Day Dine and more. Arrive 30 minutes prior to park opening. It’s the best way to maximize your day, especially if you’re trying to do it all in one day. Florida weather is mostly hot and humid except for the beautiful months of December, January, February, and March. 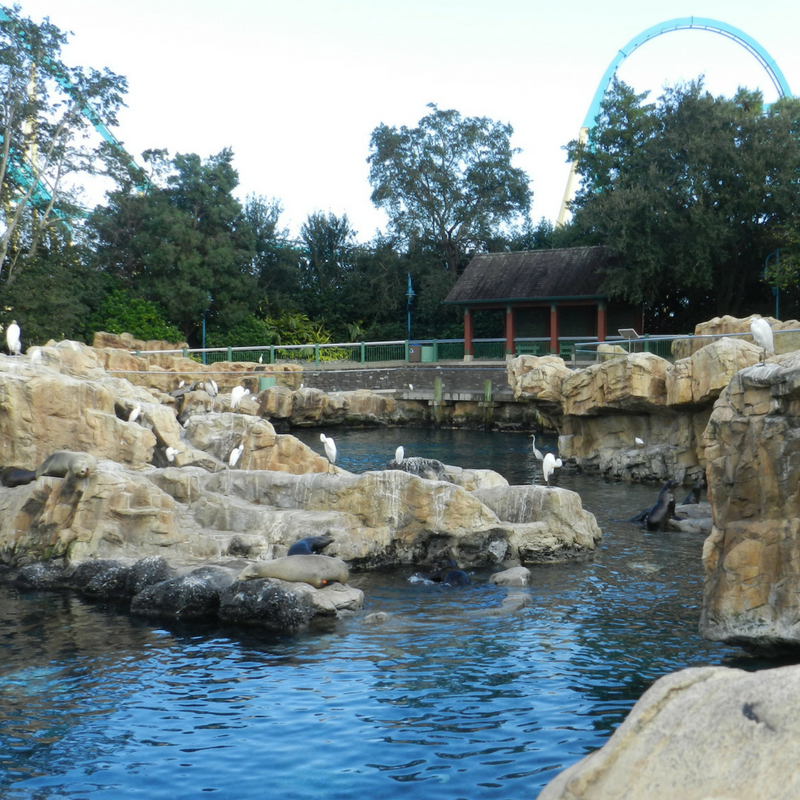 The vegetation area by the Dolphin Encounter and near Turtle Trek are two, usually serene, sitting areas. To avoid the frustration, I suggest avoiding holidays, the weekends, and the summer. This is the time that both locals and tourists flood the park. Check out the Undercover Tourist crowd calendar to find the best days to go. Map out day prior to visit by downloading app. This is a great way to make a note of your must do’s and also a way to help you see and experience as much as you can if you’re only there for a short visit. Try to get to SeaWorld early and park in the regular parking section. The parking situation at SeaWorld isn’t bad. Wherever you end up parking, the walk to the front gate shouldn’t be too terrible. Undercover Tourist offers great deals on SeaWorld tickets. For one low price, you will get a band that allows you to eat at participating restaurants all day. 1 entrée, 1 side or dessert, and 1 fountain drink, tea or water for each visit. Basically, an all you can eat day at the park. Participating restaurants include: Voyager’s Smokehouse, Expedition Café, Seaport Pizza, Captain Pete’s Island Treats, The Spice Mill, Seafire Grill, and Mango Joe’s. Sharing is prohibited and may lead to revocation of your dining pass if found in violation of the rule. Start Early (probably not as early as Universal and Disney) and get to the park when the gates open. Grab a park guide and map out your day. Pet the stingrays in Key West. Play with dolphins in Dolphin Cove. Hop aboard Journey to Atlantis. Have lunch at Shark Underwater Grill. Use this time to do any tours, shows that you’re interested in, such as the One Ocean animal show. Do the Paddle Boats to finish your day off. Sea creatures, coasters, music, food, drinks, fun and more can all be experienced in this new standout SeaWorld annual event. Experience the terrifying roller coasters and new shows at night. 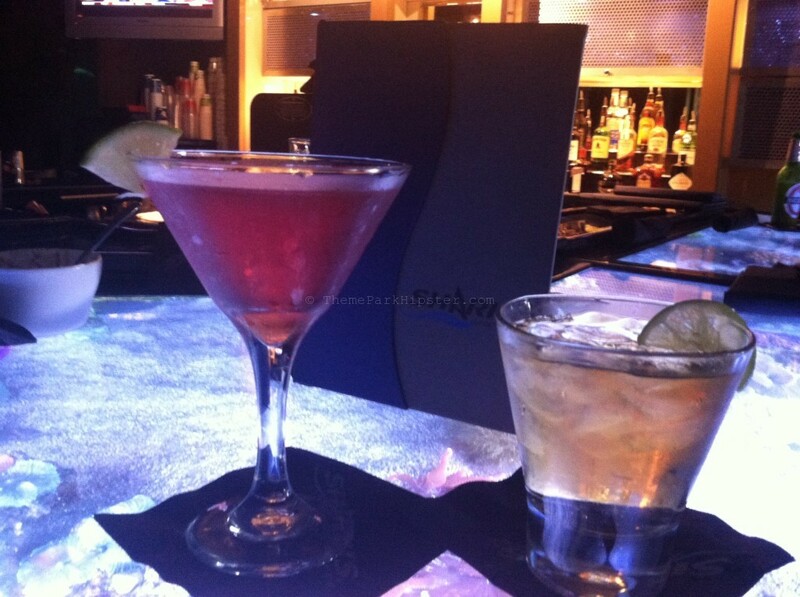 Party with other Hipsters as DJs play your favorite tunes throughout the night. A family friendly Halloween event. Create new holiday memories with festive attractions, shows, shopping, and dining. Observe dolphins in the front area of the park. Watch sea lions and more! Get up close in personal with creatures of the deep. Get up close with stingrays in the Key West section of SeaWorld. Solo Travel Tip: Use Single Rider lines at select attractions for a much shorter wait time. *Prices and dining experiences subject to change and may be offered seasonally. You can’t get away from the huge elephant…or should I say orca… in the room. The backlash from the documentary Blackfish, has made many question the care of the marine life in SeaWorld. More rides and attractions are needed to make it an all-day park. The marketing team has not found its voice, so the park is sometimes an afterthought for visitors coming to Orlando. For more information, visit the official SeaWorld website. Let me know below when you plan on going to SeaWorld? Are you interested in more theme park guides? Check out more articles below. Awesome! You’re coming at the perfect time as the new Sesame Street area will be in soft opening which means you guys will be able to experience this highly anticipated addition to the park. You should also make sure you guys can see as many animals as possible. It really makes the time at SeaWorld lots of fun and the kids really love it. I also recommend riding the Antarctica Penguin Ride…this will be an instant hit with the kids.